Microdermabrasion Treatment A Skin rejuvenation treatment used to treat light scarring, discoloration, sun damage, and stretch marks. It uses a minimally abrasive instrument to gently sand your skin, removing the thicker, uneven outer layer. – Improve age spots and black heads. – Improve hyperpigmentation (patches of darkened skin). – Exfoliate your skin, resulting in a refreshed appearance. – Lessen the appearance of stretch marks. – Reduce or eliminate enlarged pores. – Treat acne and the scars left by acne. 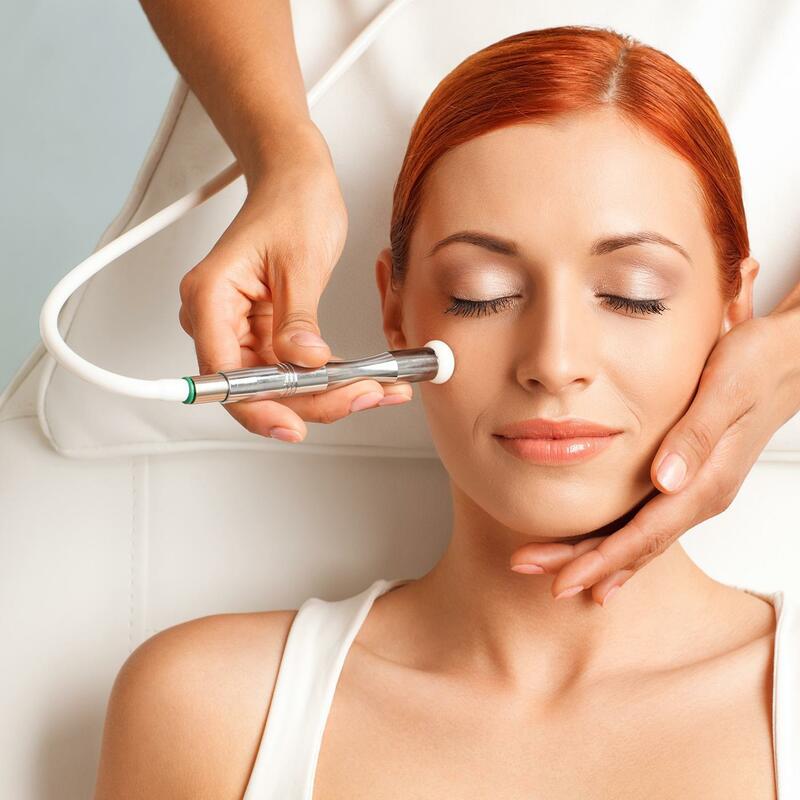 Microdermabrasion helps to thicken your collagen, which results in a younger looking complexion. Collagen is proteins in your skin that’s abundant when you’re a child and makes skin appear taut and smooth. Collagen production declines as we age, resulting in looser, uneven skin.